In case you haven’t heard, Lady Gaga and Katy Perry both release new song this week. Applause and Roar respectively. The releases were originally supposed to be more staggered but that changed when early leaks of both songs got out. I have my own opinions about each song but that’s not the focus of this article. What really got my attention and pissed me off was the media’s reaction to releases. Almost instantly the headline was Gaga vs Perry: Who will win? Who will you chose? Why can’t it be both? Apparently you’re only allowed to like one or the other. God forbid both be successful. 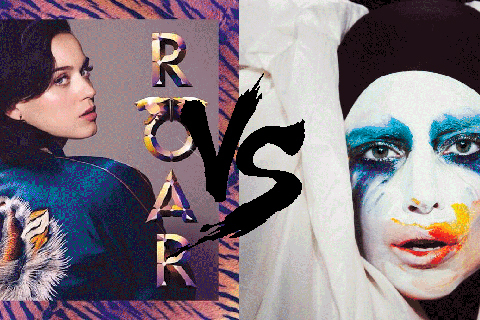 The two pop mega stars were pitted against each other the same way women have been for years. Female artist, and females in general for that matter, are always put in competition with one another in a way that men are not. Obviously because the two songs came out so close together there was bound to be a comparison made. But a comparison and a battle are different things. Think of it this way, no one put Daft Punk against Robin Thicke despite the fact that Get Lucky and Blurred Lines are almost the exact same song! Both are a smooth retro 70’s style song about getting laid with a guest spot by Pharrell. Even more so, why isn’t it Justin Timberlake vs Bruno Mars? They have as much is common musically as Gaga and Perry. There is a common acceptance that two men can be successful in the same field and one’s success has no baring on the others. Yet the illusion that all women are in competition with each other is so common that the public accepts it as fact and women themselves are forced to act the part. I myself have been guilty of it in past posts as well. Why can’t the headline be “Women rule the music charts” or “Great new music in August.” The fact that in the last couple years women have all but totally dominated the music scene has been all but ignored. 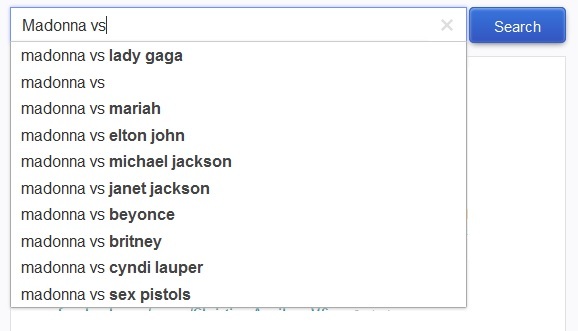 One could argue that the Top 5 Most famous musicians right now are Lady Gaga, Adele, Katy Perry, Taylor Swift and Rihanna. (The only person Rihanna’s battling is Chris Brown, but that’s a whole other post) It’s sad that female success doesn’t grab attention unless it’s at the expense of someone else. So to Katy Perry and Lady Gaga, I say congratulations on your new songs and all your amazing success. Speaking for the fans, we support you both. I mean… let’s be honest, it’s pretty much the same fan base for both ladies: gay men and teen girls. On a side note, I thought this would be a good time for a mini pop culture history lesson. Woman vs woman is nothing new. Gaga and Perry are just another example in a long history of examples where one female singer is pitted against another. Let’s take a stroll back through the headlines.